Last year we wrote a story entitled “Five and a Half Days” in which we visited San Francisco, Sausalito, Napa, Fairfield, Suisun Bay, Benicia, The Delta, plus visited the Jelly Belly Factory, fished Grizzly Island, and so much more yet only in five and a half days. We never felt rushed and spent hours just leisurely kicking back or fishing along the rain saturated banks of the delta. 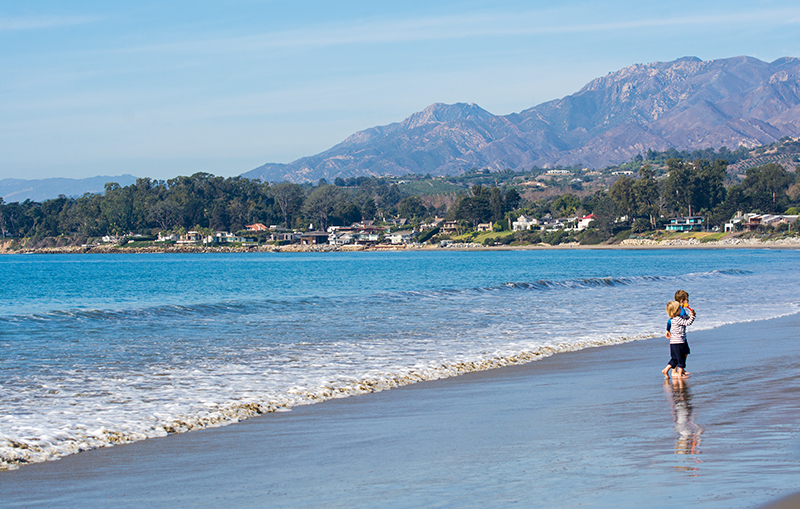 On our drive home, we decided to check out a few of the smaller cities that dot the map just south of Santa Barbara., Summerland was one such place. As with other towns on the central coast, unique homes line the hills with what I am sure are spectacular ocean views. Don’t blink because from what I could tell, it only has one main street with restaurants and shops. The rest of the area was filled with private homes. 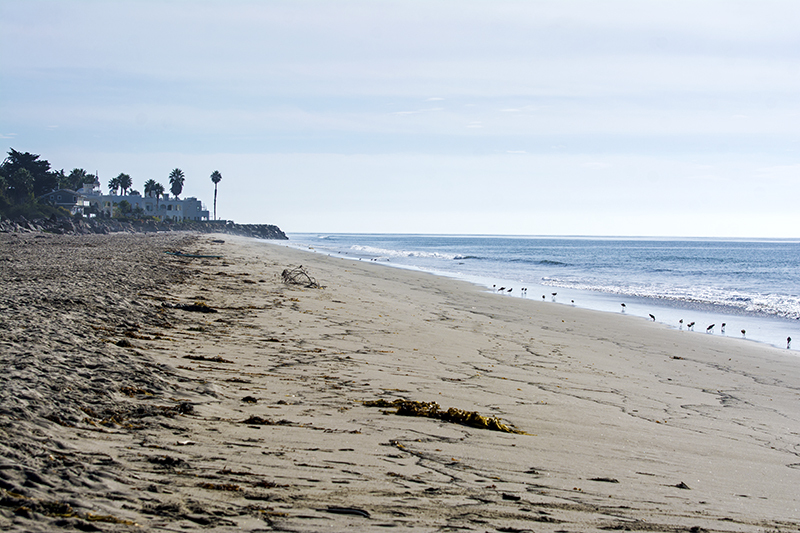 It’s just as charming as Cayucos yet a lot smaller and I’m sure lodging is very limited. If you want relaxation, peace and quiet with beautiful beaches nearby, it is worth a try to find a Bed and Breakfast or an Airbnb. 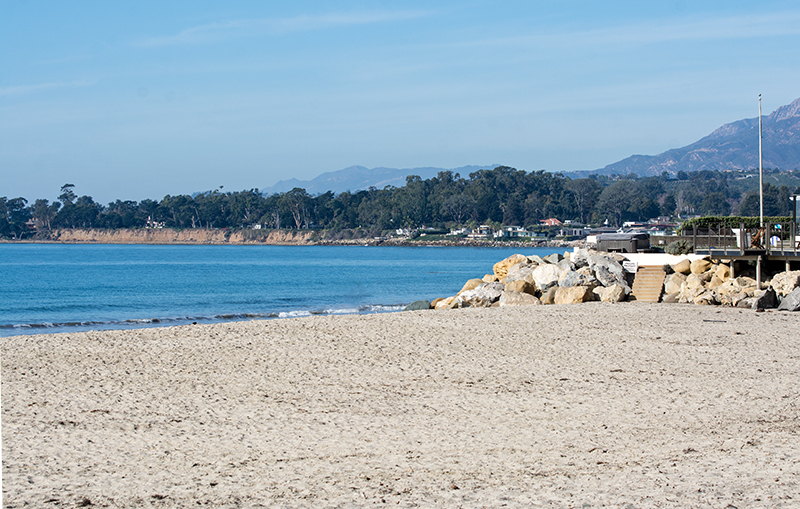 After a short drive through the community, the 101 freeway entrance was just ahead, so we hopped back on towards Carpenteria. Another attraction I have passed by many times without stopping on this coastal route was Santa Claus Village. It sat right at the edge of the freeway and you couldn’t miss it with its giant Santa Claus head atop one of the buildings and the rest of the shops all dressed up in holiday attire. On this occasion since we were just cruising and exploring, we decided to take the off ramp on to Santa Claus Lane. It was a short drive that passed by a small beach and dead ended after the village. Much to my dismay, Santa Claus Village wasn’t there!! It was torn down to make way for new retail stores, restaurants, and even a few surf shops. No hint of Santa anywhere! I guess I blew it and should have stopped there when I had the chance many years ago. They say the eighteen foot tall Santa head now has a new home in Oxnard, California. Not being able to visit the village, we set our sights on the beach that we passed by earlier. With easy parking, we got out of the car to take a little stroll on the sand. As always, the eyes were ever vigilant for the illusive sea glass. A few people were walking their dogs on water’s edge and I admired the homes that were propped up on the beach or on the bluffs nearby. The sand was soft on the feet and the water was a sparkling blue. A few wet- suited surfers sat just offshore waiting for a set of the waves while a few kids splashed around near shore braving the 60 degree water. I know, I know, 60 degrees is balmy to some of you from the Mid West or Northeast. It was a pleasant setting and the locals were friendly as we asked them about the fires that ravished this region and destroyed over 200,000 acres recently. We saw the charred hills as we drove along the coast and we were baffled when we saw the blackened brush on the west side of the road. That meant the fire had jumped over the four-lane 101 Highway! One girl told us that they could see the orange of the fire coming down the hill toward their homes before they were evacuated. The hard working firefighters did their best to save the neighborhoods from damage. In fact we saw hand written signs all over the place, on bridges, corners, etc. thanking the firefighters. Obviously a very grateful area as that fire was out of control for many weeks. We saw more evidence of the fire as we walked in the sand on that scenic beach. There were black embers everywhere. From small to large chunks, they were strewn all over the sand. Now I know why the west side of the freeway caught on fire, those embers were sent flying by the strong winds that they experienced during those few weeks. The Santa Ana winds in California can take just a small brush fire and turn it into a dangerous monster. From what I saw of Carpenteria, it was still in tack, with much appreciation to the firefighters. Although the Santa Clause head is no longer there, if you are traveling up or down the coast, it is worth a side trip to visit or even stay at some of these smaller alluring towns. The last thing we explored before we made our final non-stop trip back home was to visit the downtown district of the coastal town of Ventura. We have spent many moments on the coast and the harbor but have never seen this eclectic area. On Main Street you will find historic buildings, street lights, decorative lanterns, shops, restaurants, in fact there are 65 restaurants, 110 shops, and 35 various other businesses. Holiday decorations were still hung and I am sure at night this place comes looks extremely festive. 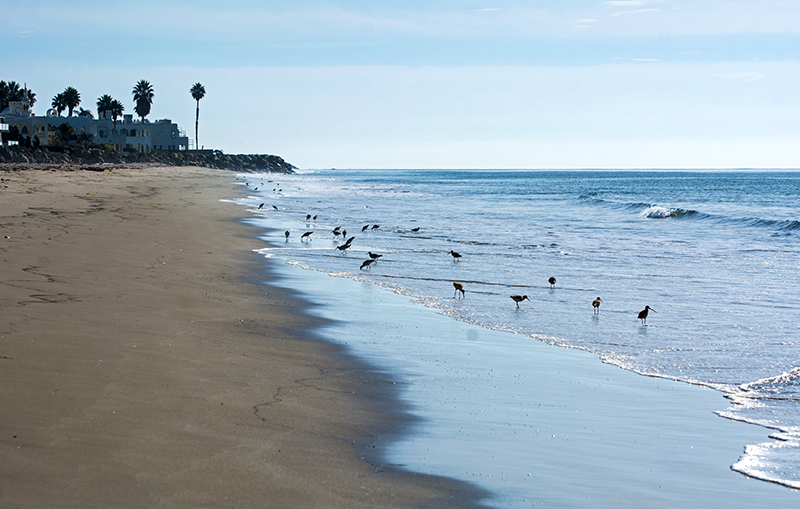 If you visit Ventura, make an effort to visit downtown, you won’t be disappointed. Highway 101 called out for us to make our final journey home, so we said goodbye to central California and headed south. What a great visit. 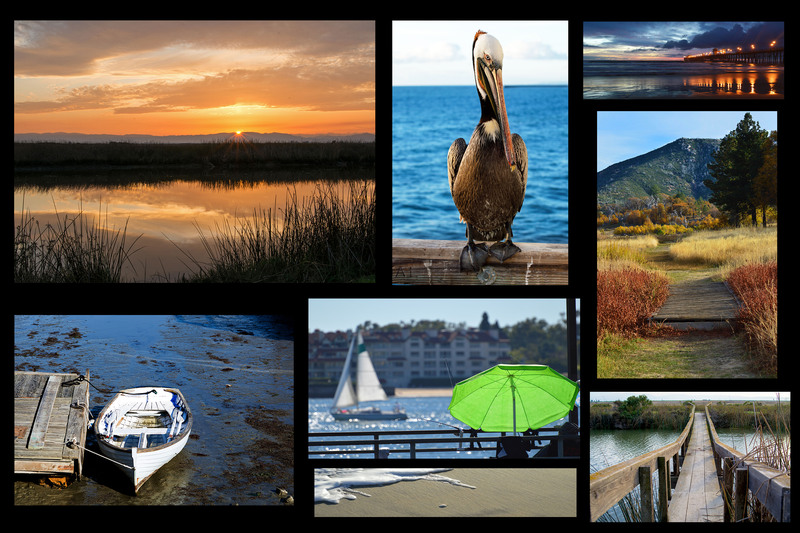 Coastal Central California has its own feel and ambiance. 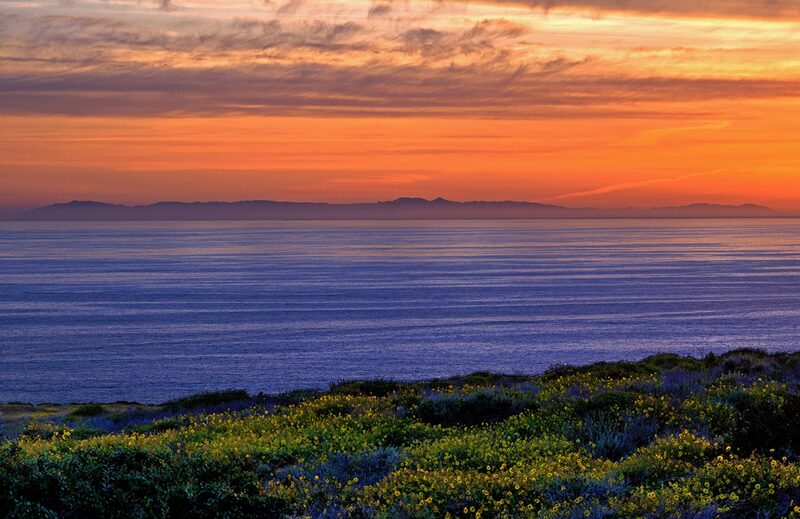 From small towns to large, rolling hills, beaches, scenic coastline, rock formations, charming villages, sand dunes, butterflies, and even ostriches. It has it all!! 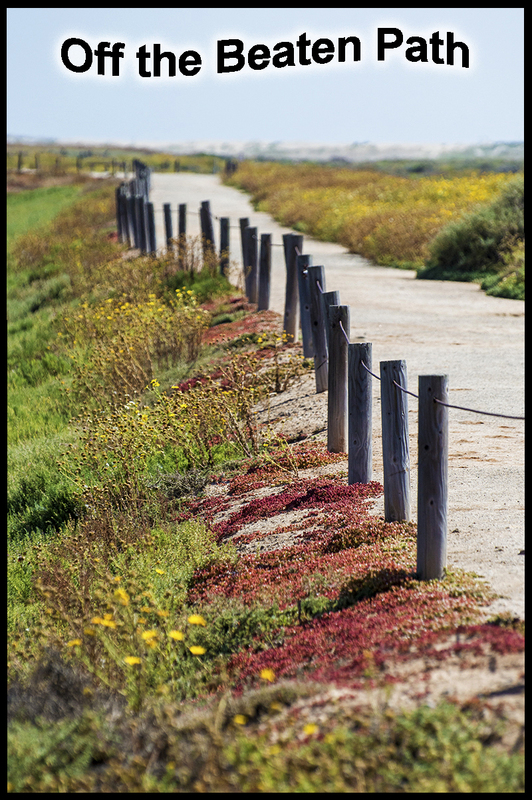 This ends our four part series “Three and Half Days.” After running into a fellow traveler, she told us to visit Half Moon Bay and a few towns nearby. So that might be next. Stay tuned.